One hundred years ago, Albert Einstein published his theory of General Relativity and changed the way we understand our universe. So much of our stereotypes about scientists can be traced to this NY Time article about Einstein and relativity... written by a sports reporter! Newton had shown, 200 years earlier, that one could use mathematics (including his newly invented Calculus) to describe and even predict the way things in our physical universe move. But to do that, Newton had had to assume without definition the concepts of space, mass, and time. He had to assume that forces like gravity acted “at a distance”… Earth could pull on the Moon even if there’s nothing but this mystical “gravity” connecting them. Finally, he had to envision a playing field, the “inertial frame of reference”, where these forces could move those masses through space, over time. The whole genius of physics is to describe motion and change; but change, relative to what? Newton’s unmoving frame of reference was his answer. But was the Earth’s surface such a frame? Not if the Earth spins, and moves around the Sun. Was the Sun? No; it too moves through the galaxy. And our galaxy itself is moving — relative to the other galaxies, at least. Worse, by the late 19th century our understanding of how light and electromagnetism behaved, Maxwell’s famous equations, did not fit into Newton’s framework. Einstein’s 1905 Special Relativity theory, describing the special case of unaccelerated motion, solved that problem. Unlike Newton’s assumptions of constant space and constant time, Einstein found that the measure of both shifted with the observer’s frame of reference. Only the speed of light remained constant. Furthermore, space and time make a continuum; what’s space and what’s time appear to shift as you change your viewing point. Relativity also showed that mass and energy could be swapped, the basis of nuclear energy and how stars shine. 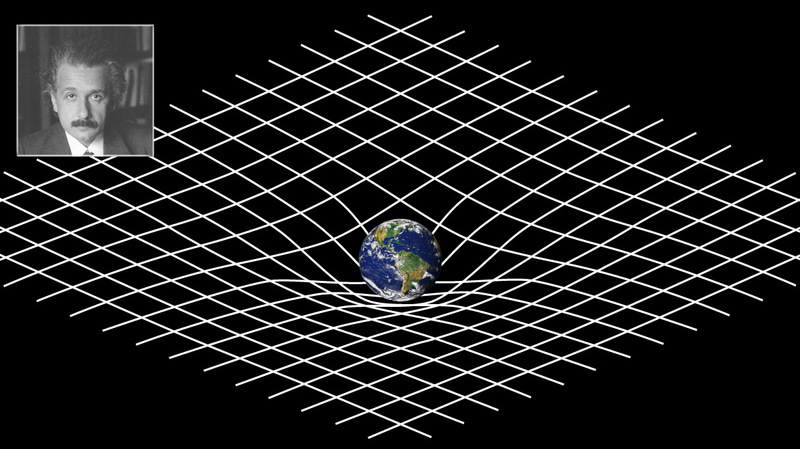 General Relativity completed the revolution by identifying mass itself as the warping of the space-time continuum. It’s the science behind the GPS unit that maps your position in your smart phone. Newton’s universe is hard enough to envision — just ask any student trying to learn it. Einstein’s universe is so bizarre that even today very few physicists (not me!) have a gut, intuitive grasp of how it behaves. But for a hundred years it has overcome every attempt to disprove its basic points. The warping of space by the mass of the Sun was first measured in 1919 by Arthur Eddington, who compared the apparent positions of stars near the Sun, measured while the Sun was in eclipse, with their positions mapped when the Sun was not around. (Modern equipment can replicate this experiment to a much higher precision; hundreds of amateurs hope to repeat these observations during the solar eclipse across the US in 2017.) Ten years later, Eddington’s protege, Father Georges Lemaître, used Relativity to outline the cosmology we now call the Big Bang. If Relativity is hard for the physicist to grasp, it’s even harder for the non-scientist who wants to use terms like “warped space” and “everything is relative” as metaphors for some new-age view of reality. Reality contains warps in space; but very few warped views of space are real. Relativity does not mean that there is no certainty, but rather that even in physics there is a truth the same everywhere: the speed of light. I see a different analogy. What do we measure our lives against? Rather than the old rigid framework of The Law, Christianity (as St. Paul reminds us) has but one universal standard: Jesus Christ, the Light of the World. Two thousand years ago, a newborn lain in a manger, he changed the way we understand our universe.